Any ideas on what this mystery object might be? The Mystery Object this month appears in the very front of this appealing circa 1928 photograph from the collection of Jim Hatfield, longtime resident of Berowra. 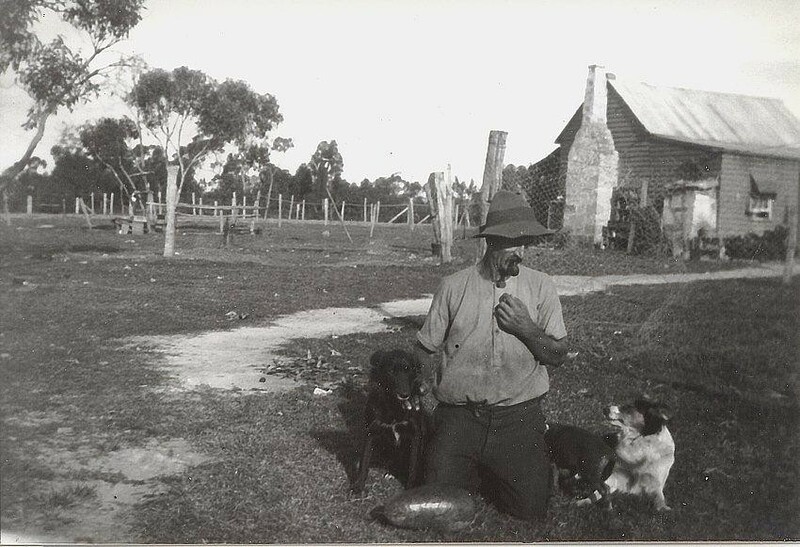 Featured prominently is Ambrose Hatfield (father of Jim & his 6 siblings) kneeling with 3 dogs. On the ground, in front of Ambrose, there is some sort of mysterious item – do you know what it is? The rented Hatfield family home at the time is behind the group & it was here that Jim was born in 1928. Could the Mystery object be animal or mineral or maybe something quite unexpected ?! Possibly an internal organ of a cow, horse,sheep?? or maybe a cancer/mass abnormality that they found in an animal they slaughtered for food?? A closer examination of the actual photo may help but its definitely a mysterious looking object….arent the dogs adorable !! Perhaps the mysterious is an internal organ of an animal. I had something like it as a kid living on a diary farm. The tubular organ was cleaned, tied at one end, then inflated, and then tied off at the other end. Viola ! We had a football to kick around the cow yard ! Ray H. Born Gin Gin Q.L.D. It is a football made from animal gut. I had one when, as a little boy I lived on a dairy farm ,outside the town of Gin Gin Q.L.D. Ray H.